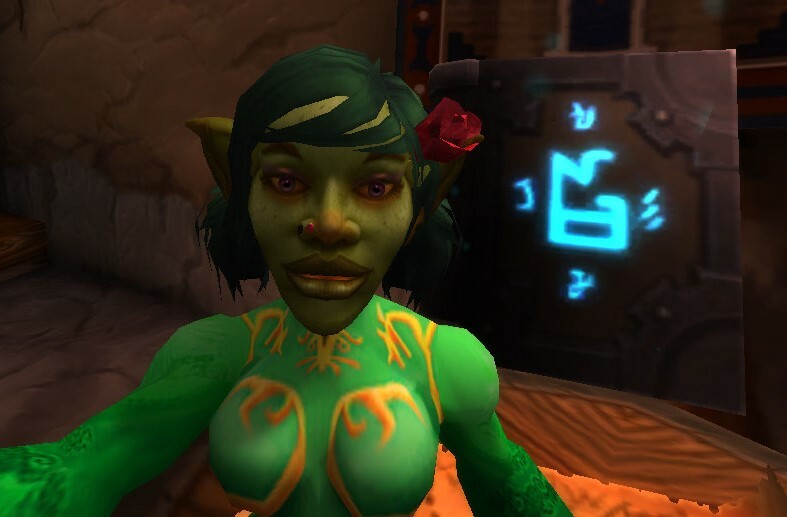 It’s your favorite Goblin Shammy, Farseer Efi and it’s my pleasure to welcome you Reciprocipeeps to the Reciprocity Report! This weeks report for the week of October 16th-22nd is brought to you by the Suramar City Guards. They are trying to raise money for counseling due to the large number of guards who have been claiming to see things that decidedly aren’t there. Many of these guards are now in danger of losing their jobs, families, and subsequently homes, due to their insistence that they are not making this up. For some of them, the issue has become so severe that they have taken to yelling, “AN ILLUSION?! WHAT ARE YOU HIDING?! ?” at all passers by. Please donate today as there is no health plan available to cover the high cost of psychological council for them. Normal Emerald Nightmare: We took down Cenarius with 8 people receiving loot and moved on to work on Xavius prgression. We are currently 6/7 in Normal and will soon be moving on to Heroic! Normal Emerald Nightmare: With several of the members we brought new to the Cenarius fight, we worked on perfecting the dance. We are still currently not doing a BYOB Old School on Saturday just due to the sheer amount of content we still have to work on. Not to even mention patch 7.1 coming so soon with new content. This weeks calendar of events: Hallow’s End event began on the 18th and will run through November 1st. Don’t forget to kill the horseman, trick-or-treat the inns, and drop all the stink bombs on Stormwind! The Battleground bonus event began on the 18th and will run through the 25th. The biggest news thought, is the new patch 7.1 will be dropping on the 25th bringing with it, among so many other things, the Kara mythic dungeon and new Suramar quest line. Current Events: Monbearpig would like to thank everyone who has been contributing materials for the feasts. Currently we no longer need the raw bacon but are in need of contributions of Ley blood. Any flowers than you can spare can be put in the guild bank to help with the task of making flasks for the raiders as well. Starlight Rose is the herb that alchemists are most in need of. Remember, Reciprocity is all about helping one another and our guild members’ willingness to help each other is what makes Reciprocity the best guild to be in. I for one, am so glad to be a part of it. That’s going to conclude this weeks Reciprocity Report. To keep in touch with what’s going on in Reciprocity, visit our webpage at reciprocity.guild.ninja and add us on twitter@ReciprocityUS. I’m Efi, and until next week, I’ll be seeing you in Azeroth!